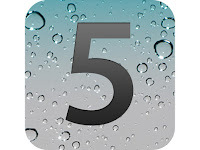 There have been many reports of horrible battery life with iOS 5 devices and especially with iPhone 4S devices. A few days ago, Apple released iOS 5.1 beta to developers and chatter on the Apple discussion forums indicate that the battery problem (aka BatteryGate) may be resolved once iOS 5.1 is released to the public. This battery problem has been strange as it doesn't affect every iPhone user, some have no problems at all. Since developers are under non-disclosure, don't look for many comments, but the good news, is that it does appear to solve the issue.